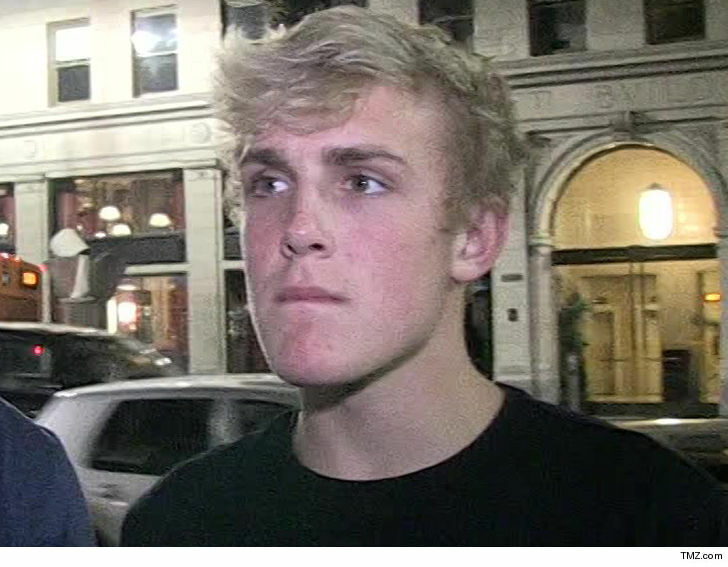 4:30 PM PT -- Jake Paul's lawyer tells TMZ ... Jake was not present during the citizen's arrest. The lawyer adds Jake was not even aware of the citizen's arrest at the time it was made. Jake Paul's security roughed up a neighbor and falsely placed him under a citizen's arrest because of the way he looked ... according to a new suit. Paul's neighbor claims in February 2018, he rang the buzzer to enter Jake's home and drove his car in once the gate was opened for him. He says he wanted to speak with Paul about cars driving at high speeds in and out of his residence ... which he felt was a safety concern for their community. According to the docs ... one of Jake's friends verbally attacked the man once he got out of his car, and a security guard got in his face and accused him of trespassing. He claims the guard then "grabbed him, twisted his arm behind his back and threw him against his car to hold" him. The man says cops were called by Paul's people, and he was detained while they tried to convince the officers he was trespassing. According to the docs ... the cops didn't find evidence of that and let him go. The man claims the citizen's arrest at Paul's pad was done without reasonable probable cause and even worse ... he thinks it was "racially motivated" based on his religion and nationality. For someone who has rapped about selling crack since the 5th grade, it's probably no surprise that he would eventually wind up in jail. And now apparently Bobby Shmurda is screaming bloody murder claiming he was framed! Chevy Chase has checked into the infamous Hazelden Addiction Treatment Center in Minnesota to treat his continuing abuse of alcohol. In typical PR fashion the excuse for the man who was Fletch will make you wretch. His rep stated it's only a "tune-up" because the aging actor "wants to be the best he can be." Well, we think too much "bottoms-up" has clearly made him "the worst that he is" and so into rehab he goes. In the beginning of March 2015 Green Bay Packers corner-back Jarrett Bush was arrested for public intoxication in northern California. Fortunately for him in the end he won't be charged. And if someone can help us out here, is this possibly some fancy move out of a football playbook?